In July of 2014, New York became the 23rd state to legalize medical cannabis use when Governor Andrew Cuomo signed the Compassionate Use Act. For the first time, New Yorkers had an option to use cannabis legally–but there were problems. Namely, the medicinal cannabis program was too inaccessible. Difficulty finding a New York medicinal cannabis doctor, limited dispensaries, and adhering to stricter medical requirements than other states resulted in only 1,300 NY medical cannabis certifications prescribed from July 2014 – March 2017. 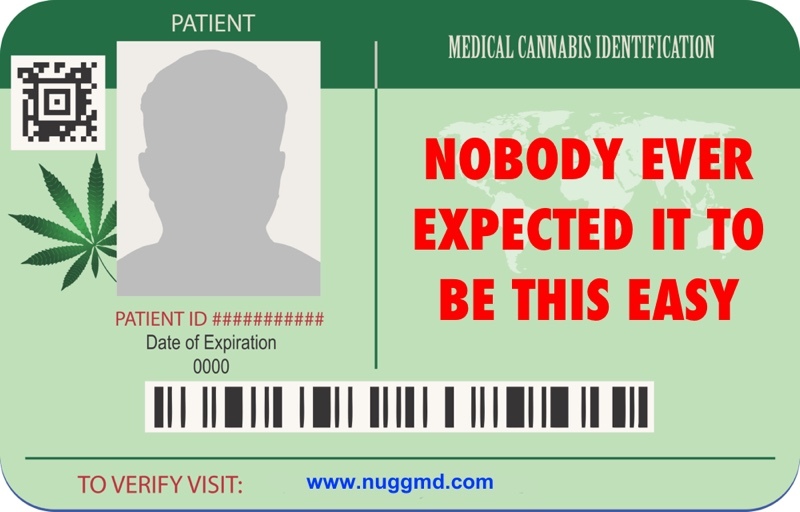 NuggMD, the leader in getting a California marijuana card, is now available across New York state. New York has provided licenses to more dispensaries. The list of qualifying medical conditions has added chronic pain and post-traumatic stress disorder (PTSD). These factors are responsible for a huge increase in NY MMJ patients. From March 2017 to March 2018 there were 45,000 new medicinal cards issued in the state! What conditions qualify for a MMJ card? The Compassionate Use Act dictates that the New York Health Department oversees the state MMJ program; as such, Commissioner Howard Zucker, M.D. decides which conditions qualify. In addition to the two new ones, he’s also in favor of expanding the list to include more. Added in March 2017, chronic pain affects around 20,000 New Yorkers, many of whom previously turned to highly addictive and potentially life-threatening opioids for help. PTSD joined the list in November 2017, as it affects approximately 19,000 New Yorkers. Previous treatments again included strong, expensive, and even deadly, pharmaceuticals. How do I apply for a New York MMJ card? New Yorkers used to deal with an application process that wasn’t as straightforward as other states until NuggMD arrived. Their online platform makes applying for a medical marijuana card easier than ever. 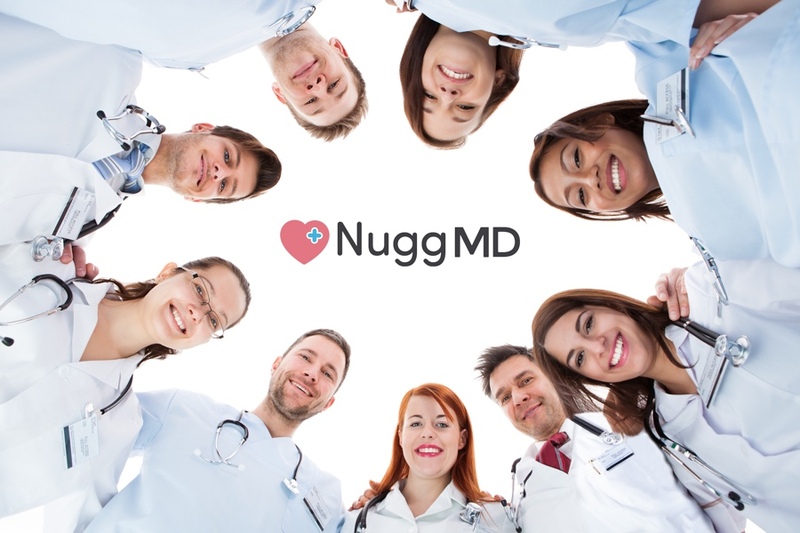 NuggMD is the most trusted name in cannabis telemedicine, responsible for over 250,000 California medical cannabis recommendations! They have the experience, infrastructure, and know-how to simplify your application process! Have proof of New York state residency (I.D. card, passport, driver’s license). Have any of the 12 valid qualifying medical condition(s). Go to nuggmd.com, fill out a simple medical questionnaire and provide proof of the condition(s). Speak to a certified NY MMJ doctor. The consultation only takes about 15 minutes but use all the time you need to answer all your questions and concerns. Pay for your evaluation. Other providers charge just for the consultation, but with NuggMD you only pay $149 for the certification ($99 for renewals) if approved. Register with the New York Department of Health’s online cannabis patient registry ($50 nonrefundable fee). I have a MMJ card; now what? To purchase cannabis products with your New York MMJ card visit a state-licensed dispensary, but don’t be surprised when you don’t see cannabis-infused edibles or flower. NY’s medicinal cannabis products are currently limited to capsules, tinctures, and liquids like cannabis oil cartridges. This may change as the medical cannabis program grows. To find a state-licensed cannabis dispensary near you, visit the NY Department of Health online. Many NY cannabis patients are surprised to discover NuggMD continues to provide benefits long after they register. This includes, at no additional charge, access to a medical cannabis concierge dedicated to simplifying your cannabis experience. That’s right; NuggMD employs specialists to help you find the right product(s), the closest cannabis dispensary, and answer any cannabis questions you have. Also look out for Nugg’s marijuana delivery service coming soon to your NY neighborhood! As medical cannabis in New York continues to thrive, your medicinal marijuana concierge will keep you in the know about how changes affect you. Take advantage MMJ’s benefits and Nugg’s simplicity today!